Conflict diamonds captured the world’s attention during the extremely brutal conflict in Sierra Leone in the late 1990s. During that time, it is estimated that conflict diamonds represented approximately 4% of the world’s diamond production. While illicit rough diamonds have been used by rebels to fund conflicts across many African countries, the problem is not the diamond itself, but the rebels who exploit diamonds (along with other natural resources) to achieve their illicit goals. 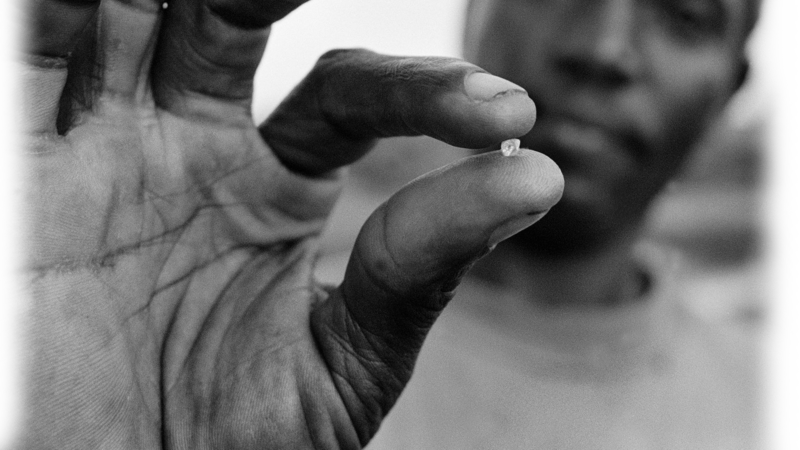 Today the trade in conflict diamonds has been virtually eliminated through the efforts of Kimberly Process participants and from adherence to warranties and monitoring processes as part of the Kimberly Process Certification Scheme. Formed in 2000, the KP is a binding agreement among governments, civil society and industry leaders to remove conflict diamonds from the global supply chain. Membership imposes extensive requirements on every participant including adherence to the Kimberley Process Certification Scheme (KPCS) that both safeguards the shipment of rough diamonds and certifies them as conflict free. The KPCS was first implemented in 2003. Today 81 governments have included the Kimberley Process Certification System in their national law. 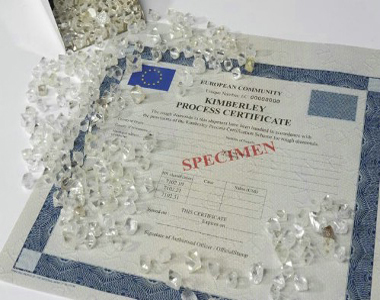 Kimberley Process participants undergo periodic reviews, along with peer monitoring to ensure compliance. Furthermore, all rough diamond sales are independently audited, and are also subject to separate governmental regulations. Any country that is found not to be in compliance can be sanctioned by the Kimberley Process. to ensure that all company employees who buy or sell diamonds within the diamond trade are well informed regarding trade resolutions and government regulations restricting the trade in conflict diamonds. Failure to abide by the aforementioned principles exposes the member to expulsion from industry organizations. Under the terms of the Kimberley Process, it will be considered a violation to issue a warranty declaration on a sales invoice unless it can be corroborated by warranty invoices received for purchases. Failure to adhere to these principles will prompt investigation and could result in expulsion from the various diamond industry institutions.